Almost every fast food joint serves something they’ll call a ‘veggie burger,’ but for diehard vegetarians and vegans, truly innovative dining options remain at a precious minimum. 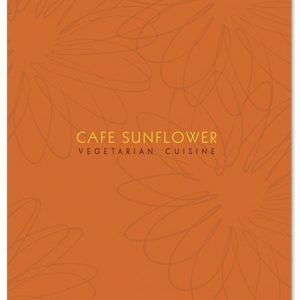 That probably explains Cafe Sunflower’s popularity among Atlanta’s health-conscious community, likely attracted by the restaurant’s warm upscale decor and the fit staff’s infectiously sunny dispositions. The cafe takes a fusion approach to vegetarian cuisine that includes a broad range of Caribbean, Mediterranean, Southwestern and especially Asian influences. Sure, you can get a veggie burger that’s widely considered the city’s best, but you can also scarf ethnic appetizers such as hummus and spring rolls and entrees ranging from garlic eggplant and curry vegetables to black bean quesadillas. Just because you’re watching your diet doesn’t mean you can’t indulge your sweet tooth — the cafe’s popular carrot cake and remarkably moist chocolate cake contain no eggs or dairy and are good enough to make anyone consider a healthier way of eating.